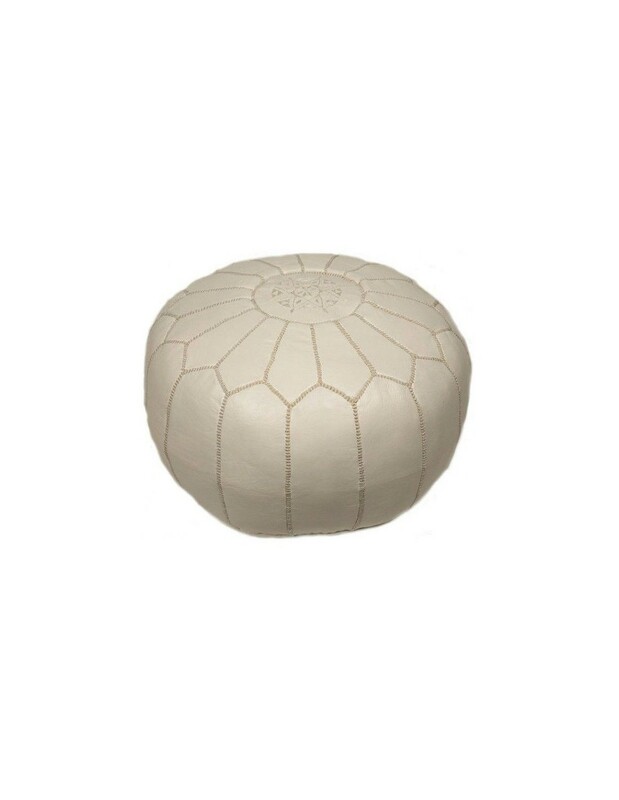 Moroccan beige leather ottoman - the Moroccan ottoman pouffe extremely functional, the pouf Moroccan ottoman pouffe can be used as a footrest or a seat, even a side table or they can be integrated to any space needing a modern twist with a timeless Moroccan craftsmanship. 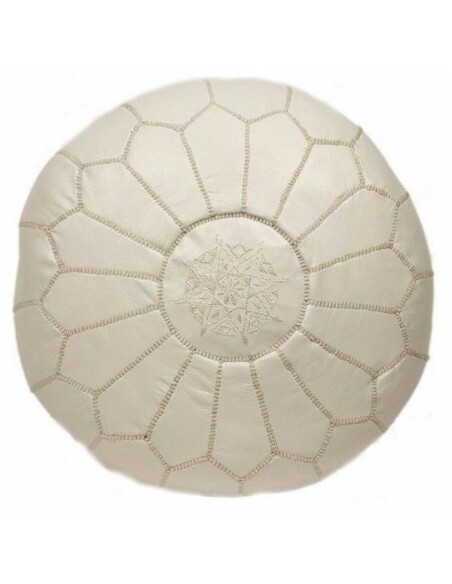 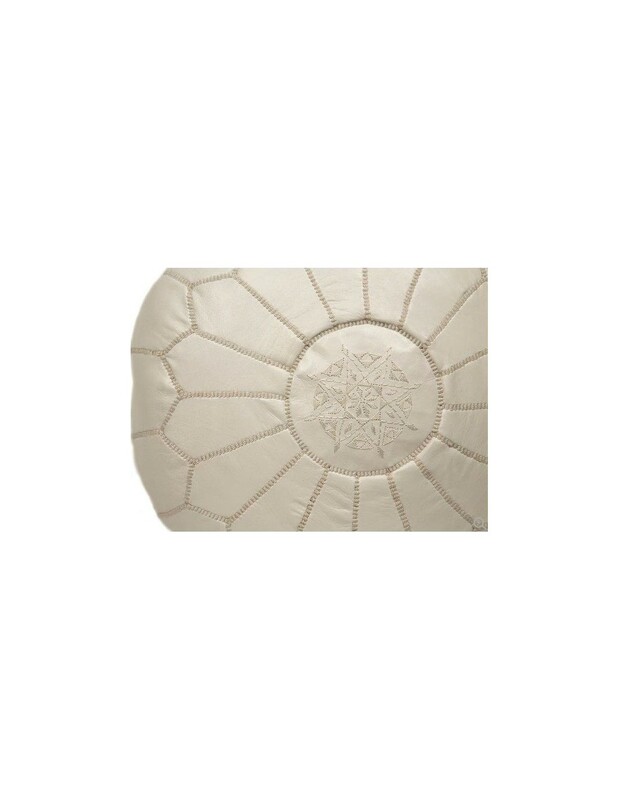 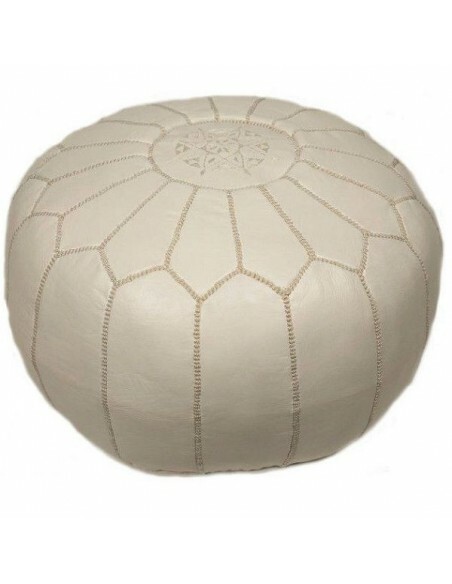 The Moroccan leather ottoman is carefully selected to perfection to bring you this Moroccan beige leather pouf, sewn and hand embroidered, ensuring that each individual pouf created is an original work of art, because two pouf are not not identical. 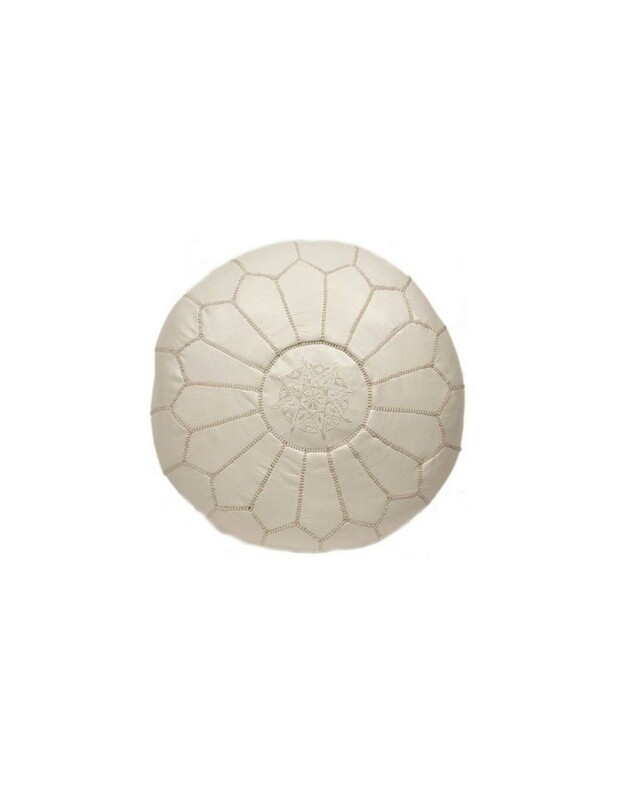 Filling: fill with polystyrene balls. 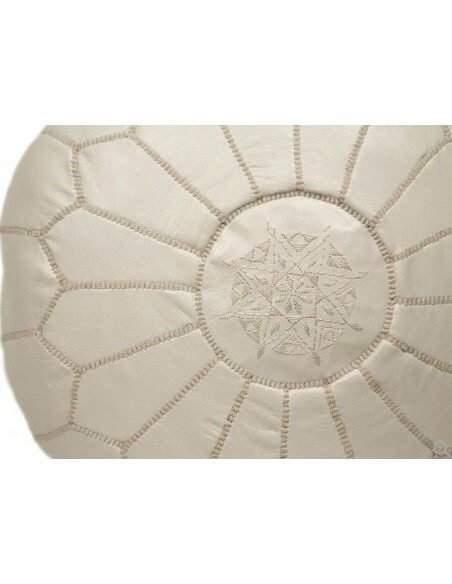 Only natural materials, genuine leather and natural dyeing methods are used.